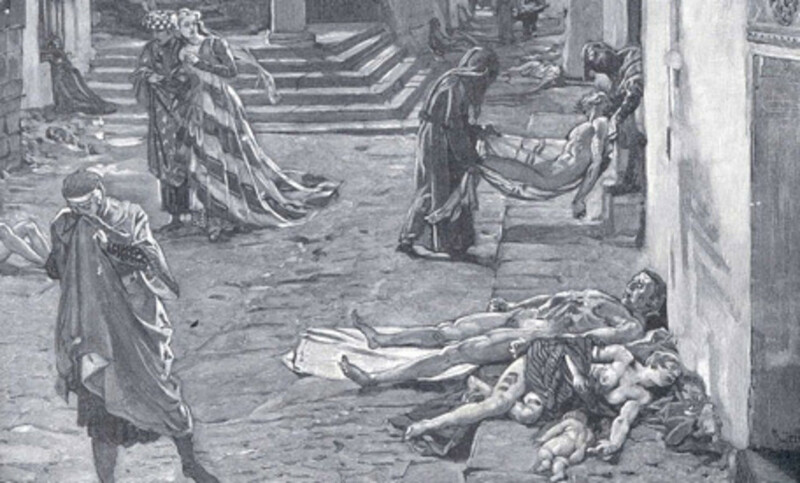 In the 1300s the world was struck by a deadly disease called the Black Death. It was one of the worst disasters in recorded history. An estimated 30–60% of the population of Europe died. Also known as the Great Calamity and the plague, the disease is thought to have originated in Central Asia and it swept across Europe in the late 1340s. The terrible disease caused not only massive numbers of deaths, but also caused many minority groups to be blamed and persecuted for "causing" the black death. In these modern days when we have seen millions of deaths from AIDS worldwide, have more recently been threatened with a possible swine flu (SARS) epidemic and now face the spread of the deadly ebola disease, it is important to look back at the pandemics of the past, such as the Black Death, and see how people handled those catastrophes. 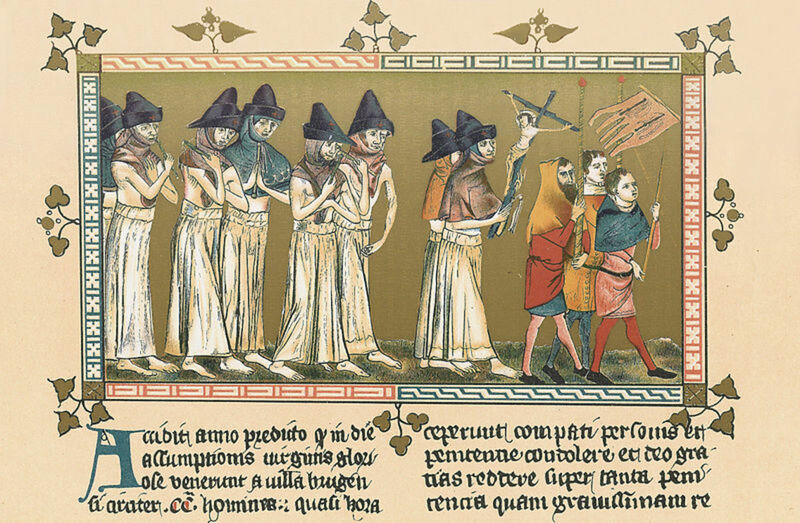 We can admire what the men and women of the 1300s did right in bravely fighting the Black Death and learn lessons from where they went wrong (for example, attacking minorities). A truly graphic and gripping description of one of the worst disasters in human history. Equivalent of a nuclear war! "The Black death was the fourteenth century's equivalent of a nuclear war. It wiped out one-third of Europe's population, taking millions of lives." 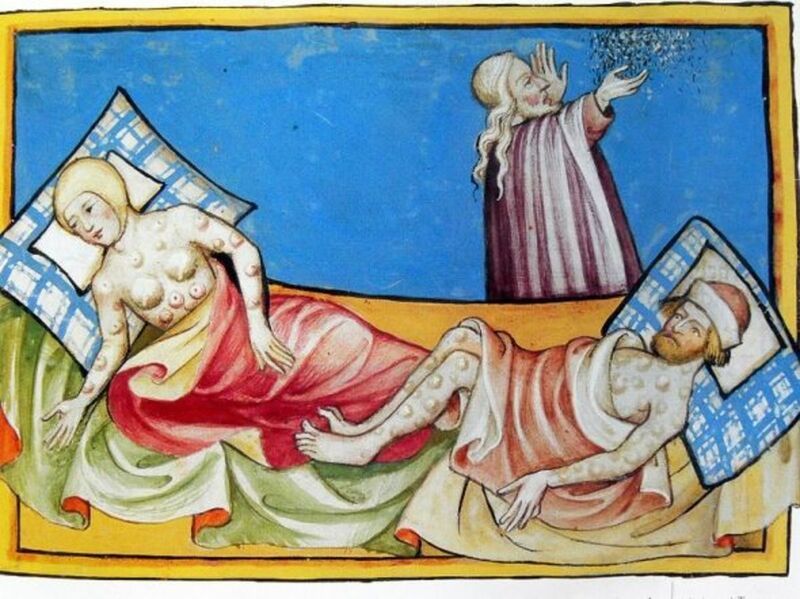 Rumours of a "great pestilence" (what would be later called the Black Death) in the Near and Far East has been heard in Europe since the 1330s. From there the disease reached Europe either by coming with invading Mongol armies or by coming by sea -- or both. One theory is that the disease arrived at the city of Caffa in the Crimea with an invading Mongol army in 1347. The Mongols were reported to have catupulted infected corpses over the city walls. Genoese traders fled Caffa by ship to Sicily in the south of Italy, taking the Black Death with them. From there the disease spread across Europe, mainly by trading ships going to the ports of major countries: first, northern Italy (Pisa, Rome, Florence, etc. ), then, France (Marseilles, Bordeaux, Lyons, Paris), and then England, Germany, Scandinavia and Russia. [The black death victims] "ate lunch with their friends and dinner with their ancestors in paradise." The symptoms of those who contracted the Black Death included the swelling of the lymph nodes in the armpit, in the groin and on the neck. They looked like giant blisters and were referred to as buboes or gavocciolos. The appearance of the buboes was followed by acute fever and vomiting of blood, with most victims dying two to seven days after infection. The symptoms were the following: a bubo in the groin, where the thigh meets the trunk; or a small swelling under the armpit; sudden fever; spitting blood and saliva (and no one who spit blood survived it). "Physicians could not be found because they had died like the others. And those who could be found wanted vast sums in hand before they entered the house. (...) Child abandoned the father, husband the wife, wife the husband, one brother the other, one sister the other." The first shocking sign of the Black Death in Europe was when twelve ships from Crimea docked in the port of Messina, Sicily. Almost all the sailors on board were dead. The remainder were gravely ill.
As the Black Death swept country after country, scenes of utter devastation became commonplace. [The Black Death] ... finally it spread over all England and so wasted the people that scarce the tenth person of any sort was left alive. When houses were opened by neighbours (following a great stench coming from inside), whole families were found dead inside. In London the streets were uncleaned, all the street sweepers having died. Grass grew tall in the main streets of many towns. Across whole swathes of countryside fields lay fallow and few sheep remained, they also having died of the Black Plague. In the 14th century doctors were mystified by the Black Death. The medical faculty of the University of Paris published a report blaming a conjunction of three planets in 1345. 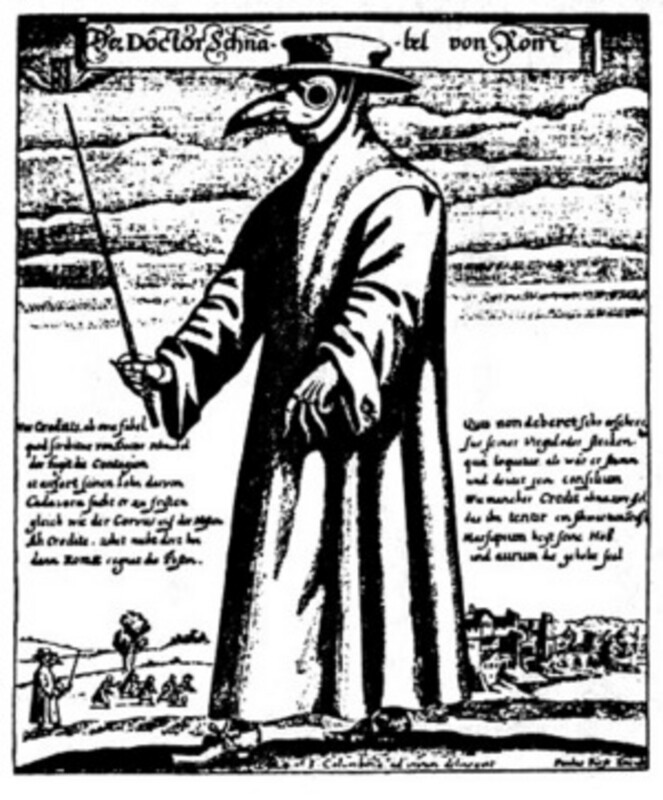 Plague tracts (reports) were published blaming bad air for the disease. Another report claimed: ""Instantaneous death occurs when the aerial spirit escaping from the eyes of a sick man strikes the healthy person standing near and looking at the sick". Techniques for treating the Black Death included blood-letting and boil lancing (techniques that were actually dangerous as they exposed the onlooker more to the plague bacteria). Other techniques included burning in aromatic herbs (to disperse the "bad air") and bathing in rosewater or vinegar. 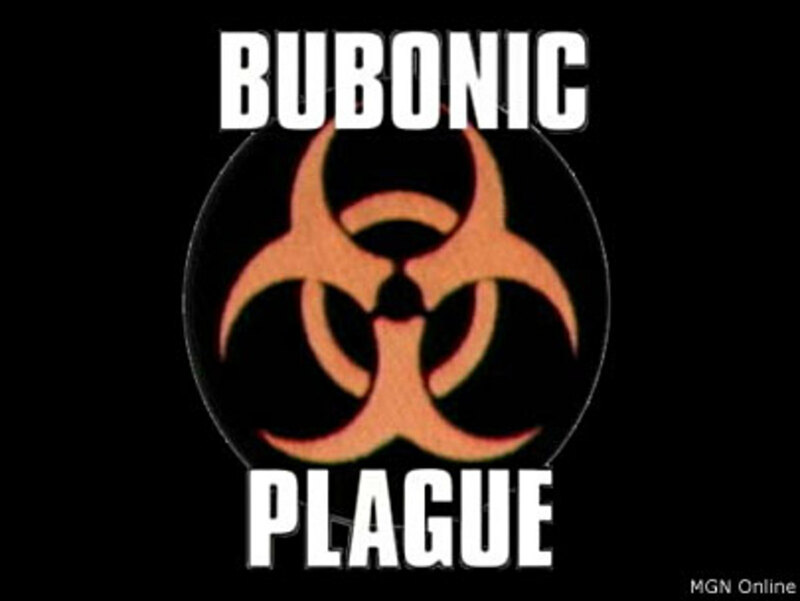 Bubonic: This form drew its name from the buboes (lymph node swellings) that appear on the victims armpits, groin and neck. Victims of this form normally died within seven days. The bubonic plague was spread by fleas infected by the Yersinia pestis bacterium. These fleas attached themselves to rats and then passed to humans. Pneumonic: This form attacked the respiratory system of victims before the rest of their bodies. It was spread to uninfected people by their breathing in the exhaled air (pneuma) of a victim. Septicemic: A form that included blood poisoning. 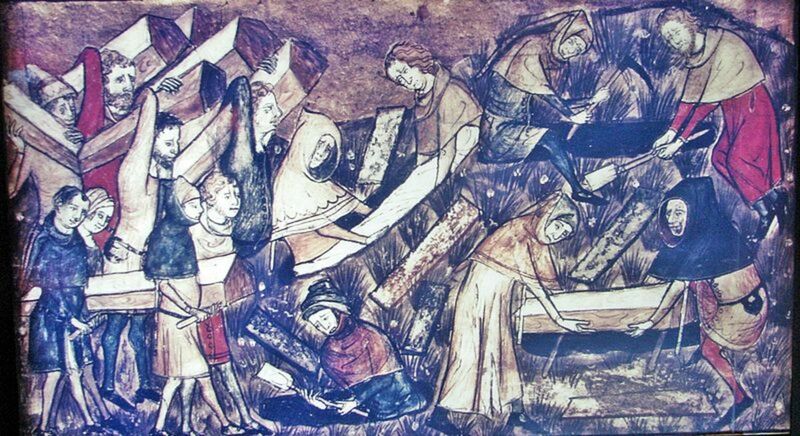 Living conditions in the Middle Ages exacerbaed the spread of the Black Death. In the towns and cities of the 1300s people lived close together. 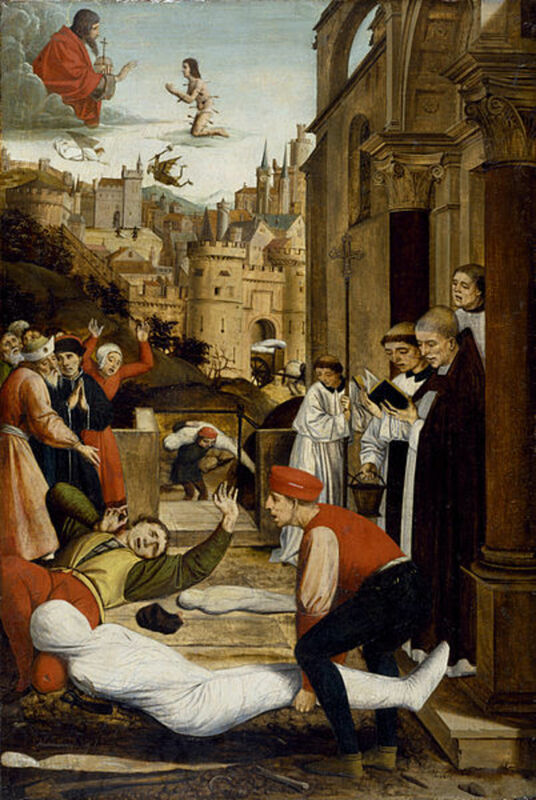 Most people had no idea that the Black Death was contagious and that they should keep their distance from others and cover their mouth when sneezing (that action would have helped protect them from the pneumonic form of the Black Death). Public hygiene was very poor. Refuse was dumped in the streets and sewage poured straight into the rivers and streams. Farm animals such as pigs often roamed the streets. Rats (the carriers of the bubonic-plague infected fleas) roamed freely. Disposal of dead bodies was crude. Porters and gravediggers did not cover themselves, leading to a high mortality among them. It was only in the nineteenth century that medical science came to realise the importance of good hygiene, quarantine and better public health and town planning measures for stopping the transmission of the Black Death and other forms of the plague. The Black Death killed from 75 to 200 million people in Europe, Asia and Africa. Plague stripped villages, cities, castles and towns of their inhabitants so thoroughly that there was scarcely anyone left alive in them. The exact number of people -- and percentages of population -- killed remains a matter of speculation. In 2007 Philip Daileader wrote that recent research points to 45-50% of the population of Europe dying over a four year period , with some areas (Italy, Spain, southern France: 75-80%) being higher and some (Germany, England: 20%) lower. In the Middle East it is estimated that one-third of the population died. 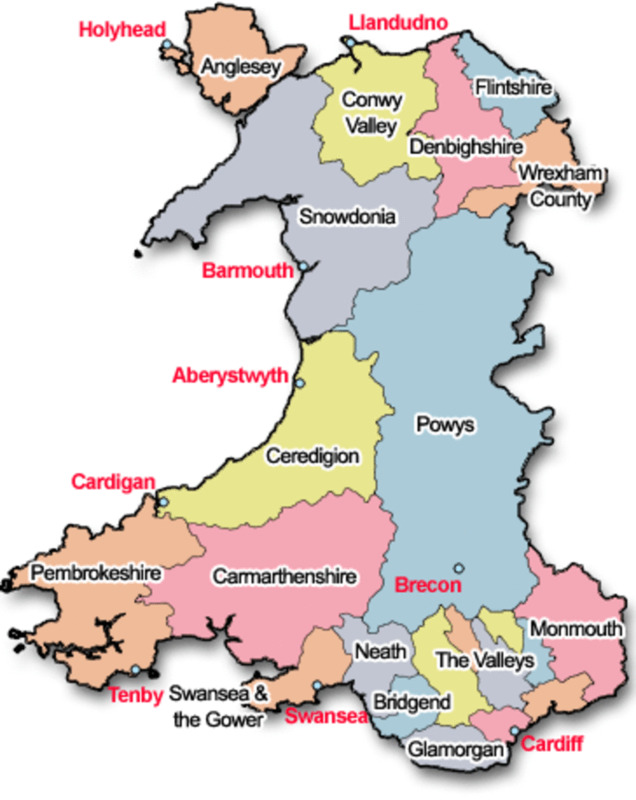 In Europe it took around 150 years - and in some areas 250 years - for the population to recover. So many people died that the most of the dead bodies were buried -- with no identifying tags and no divine offices -- in mass graves (large pits where corpses were placed in layers, with some graves being up to five layers deep). Only the lucky few were buried in coffins. 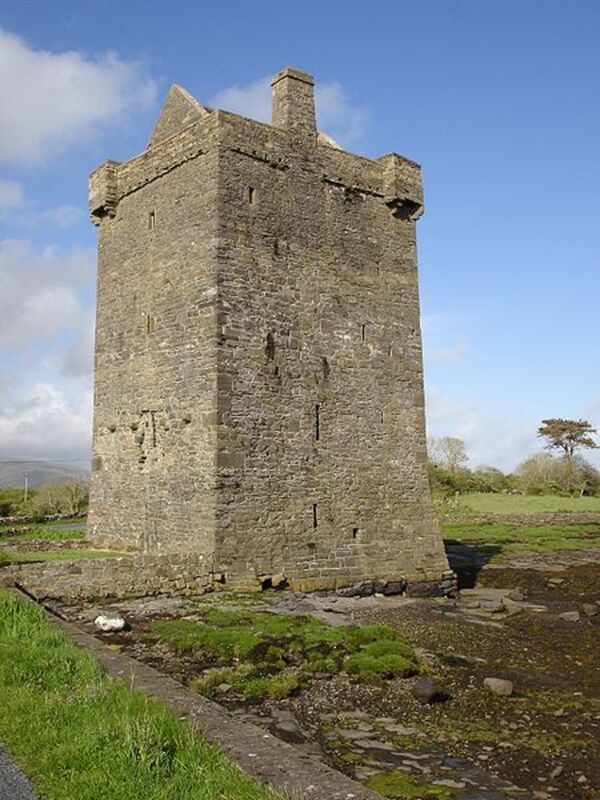 Europe in the Middle Ages was a feudal society in which the Church wielded enormous power. Ordinary people looked to the Church for guidance in times of trouble. Priests would give advice to their flock on how to handle the problems in their lives. They would also explain would explain the meaning of war, famine and other catastrophes and how they could still believe in a just God. When the Black Death arrived, many Church officials believed it was a punishment from God for the sins of human beings, and so people should not resist this catastrophe but accept it. 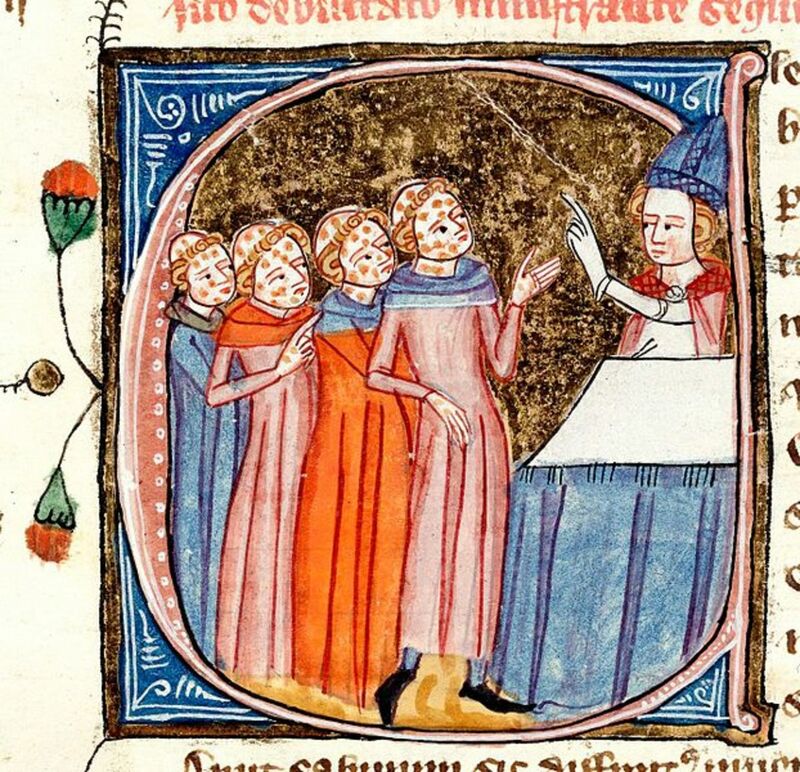 Individual priests bravely gave solace to the people in their congregations when they were struck down with the Black Death and many of those priests paid for their devotion with their own lives. Monasteries where friars lived at close quarters with each other and where the sick often fled for help suffered a huge death toll from the Black Death. The Church was losing a lot of its authority: priests seemed to have no answers and the good and evil, the great and the low, appeared to be all equally victims of the Black Death. Furthermore, with so many priests dead or ill, few ecclesiastical duties were being carried out and few laws, sacred or secular, were being enforced. 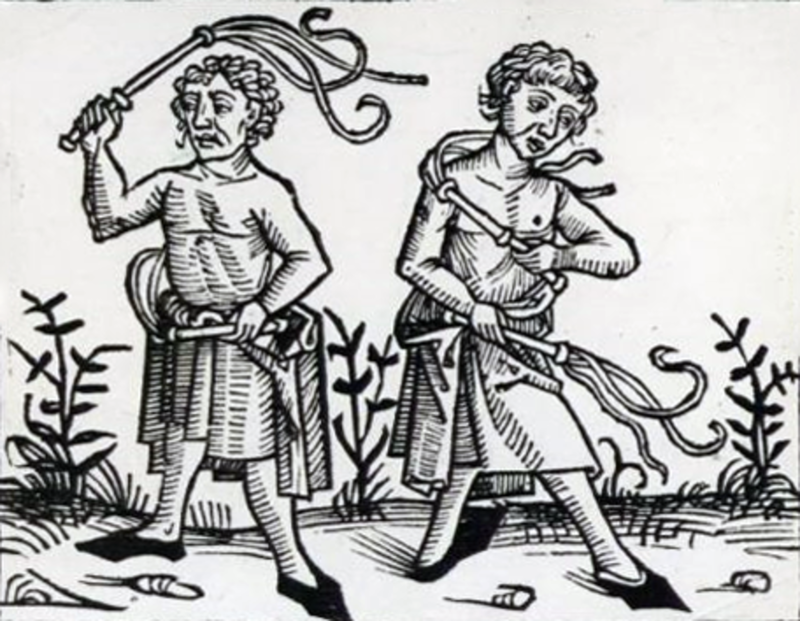 The Pope authorized groups of flagellants (believers beating themselves with whips) to go around the country, preaching repentence for their sins. The flagellants began to gain so much influence among the general population that they began to compete with the Pope's authority when they spoke on religious questions. The Catholic hierarchy saw a threat to the Church's power and reined them in. When this terrible catastrophe struck, medical doctors could offer no cures and priests were unable to offer a real explanation for how a benevolent God could allow such suffering to occur. Many people began to believe that the Black Death must be some sort of divine punishment and retribution for the sins of mankind. Some believed that they had to purge their communities of heretics and other troublemakers. They turned against minorities -- often violently. According to David Nirenberg in his book Communities of Violence, people targeted "groups such as Jews, friars, foreigners, beggars, pilgrims" as well as gypies and lepers. For example, in 1349 2,000 Jews were murdered in Strasburg and further massacres occurred in Cologne and Mainz. Jews sometimes seemed to be less prone to getting the Black Death (this could have been because of higher standards of hygiene maintained by certain Jewish communities and the fact that Jews often lived in ghettoes, relatively isolated from the rest of society. Rumours spread about minorities too (for examples, Jews were accused of poisoning wells) -- which led to even more persecution. As Giovanni Boccaccio pointed out in his book The Decameron, given the great suffering from the disease, "the authority of human and divine laws almost disappeared" -- priests and other respectable people in positions of power were all dying just like ordinary people. The Church lost much of its authority and, with no one around to enforce religious and secular laws, many people began to feel they could just do whatever they wanted. For example, people began to enter any house, whether they owned it or not, and occupy it. Some of the upper-class tried to purify their souls by joining processions of flagellants who wandered from town to town, mortifying their own flesh flogging themselves with studded leather straps in public displays of penance. In this way they hoped that God would forgive them and they would not die of the Black Death. The flagellants began as a form of popular expression of dissatisfactiion with the Church's control and lack of reaction to the people's problems (here with their suffering the epidemic). As time went on the flagellant movement became of form of popular mania with thousands joining in flagellant processions when they came to a town. The flagellants developed a series of rituals that they insisted had to be followed. They whipped themselves till blood flowed. The blood was mopped up by clothes which they then claimed to be holy relics. They claimed their activities were justified by letters delvered by angels. Soemtimes authorities noticed that flagellants seemd to bring the Black Death when they arrived in their towns. While the Catholic Church originally tolerated the flagellant movement (with some monks and nuns joining), it later perceived that flagellants' beliefs were often at odds with official Catholic doctrine and that these beliefs were gaining many adherents. They also saw a danger to the social order of the day. 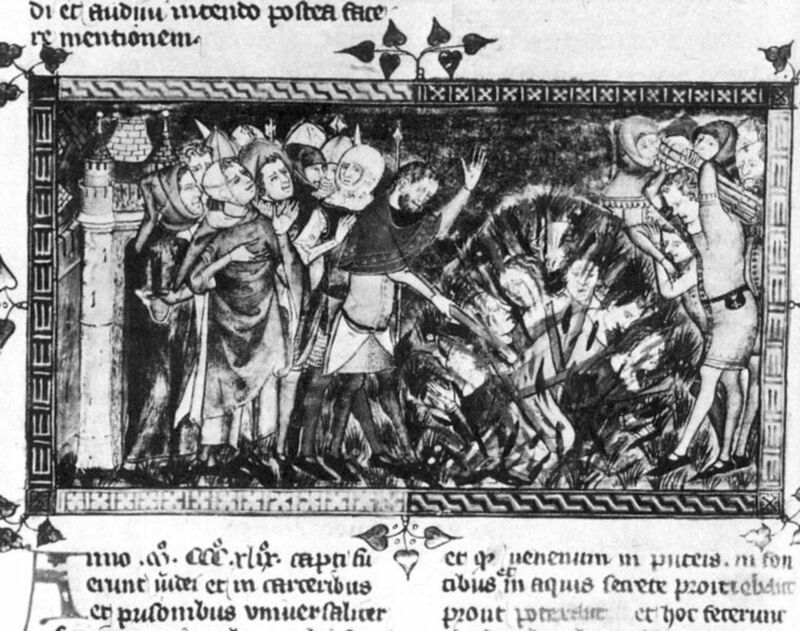 So Pope Clement VI ordered the suppression of the flagellants in a bull issued in 1349 and in 1372 Pope Gregory XI declared the flagellants to be heretics (for claiming to work miracles, for doubting the need for sacraments and for opposing the jurisdiction of the Church's ecclesiastical structures). This is a classic expose of the madness of humanity when it faces catastrophes or phenomena it cannot understand. It disects the witch hunts, the crusades, the tulic mania, the Mississippi Scheme (an early stock market bubble), alchemy (trying to turn base metals into gold), and other events when masses of people behave in deluded and often cruel ways. First published in 1841, this book has never been out of print since. The picture above shows King Richard II meeting the rebels during the Peasants’ Revolt. The lower class workers in England had been been enduring a miserable life under the feudal system. Their life, known as serfdom, was virtual slavery. 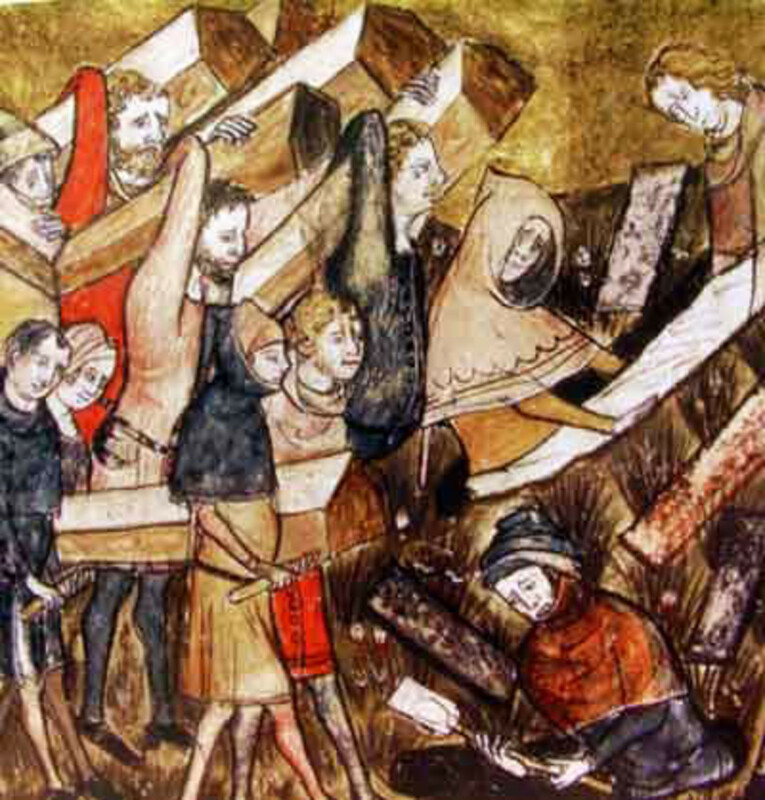 The black death reduced the number of laborers available work on the land. The workers demanded higher wages and better conditions. The upper classes resisted this and the king (King Edward III) tried to clamp down on these demands by introducing a new law, the Statute of Labourers, in 1351. 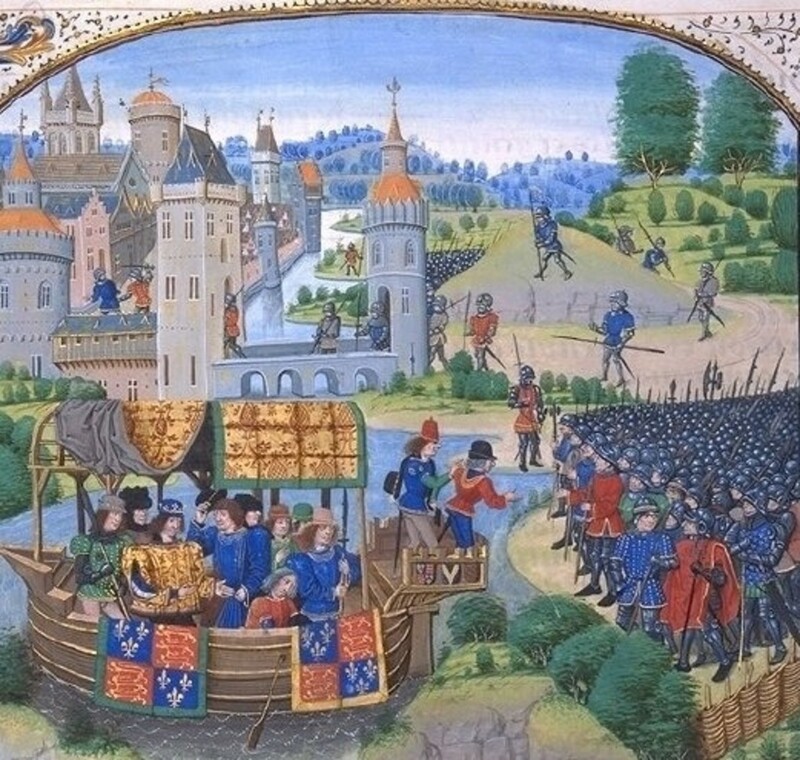 The struggle of the workers continued which culminated in the Peasants’ Revolt (1381). 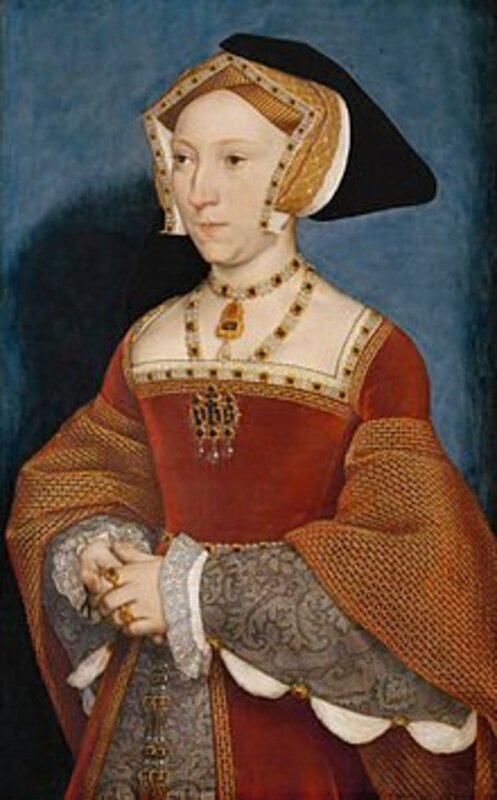 Although the Peasants’ Revolt was suppressed, the workers finally won the battle and serfdom ended around 1400. 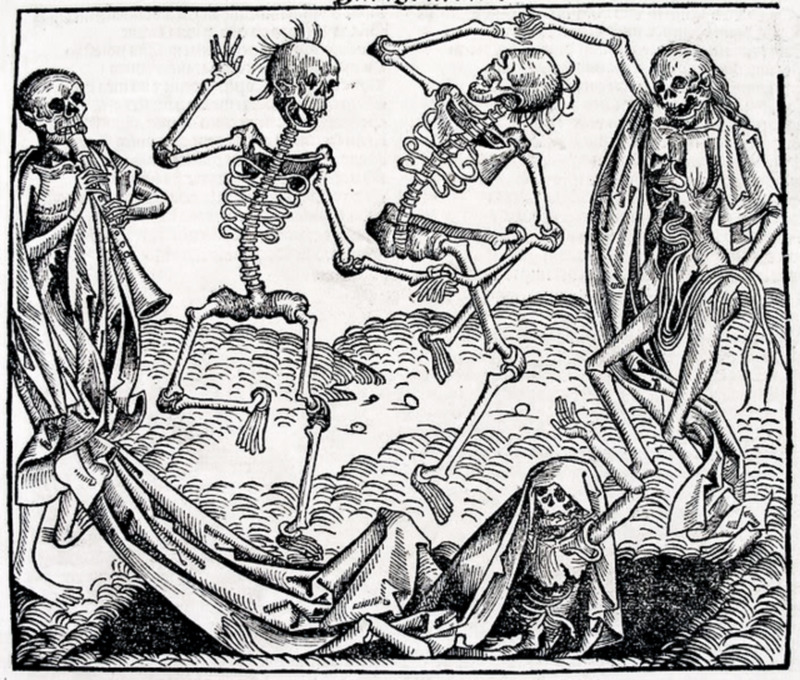 This image of the Dance of Death (by Michael Wolgemeut) was published in Hartman Schedel's Chronicle of the World (Nuremberg, 1493). The Black Death and its unending suffering profoundly effected European culture in the late medieval period. After 1350 art and literature became dark and pessimistic and often concerned itself with death. The Dance of Death (see an example in the image above), showing death in the guise of a skeleton selecting his next victims, was a common motif in late medieval art. Another common motif in the paintings and drawings of this period was the Le Danse Macabre, an allegory on the universality of death. In this motif we commonly see a figure of Death leading a row of dancing figures from all walks of life to the grave, some rich, some poor, some old, some young. The underlying messagethat we have learnt from the Black Death) is that no matter what our station is in life, life is very fragile, our achievements here on earth are passsing and vain, and we are all dancing towards the same fate of death. The dance of death unites us all. The paintings of Hans Holbein and of Pieter Bruegel also painted on the theme of death (for example, Bruegel's 1582 painting The Triumph of Death depicts the fear, terror social upheaval in Europe in the wake of the Black Death). 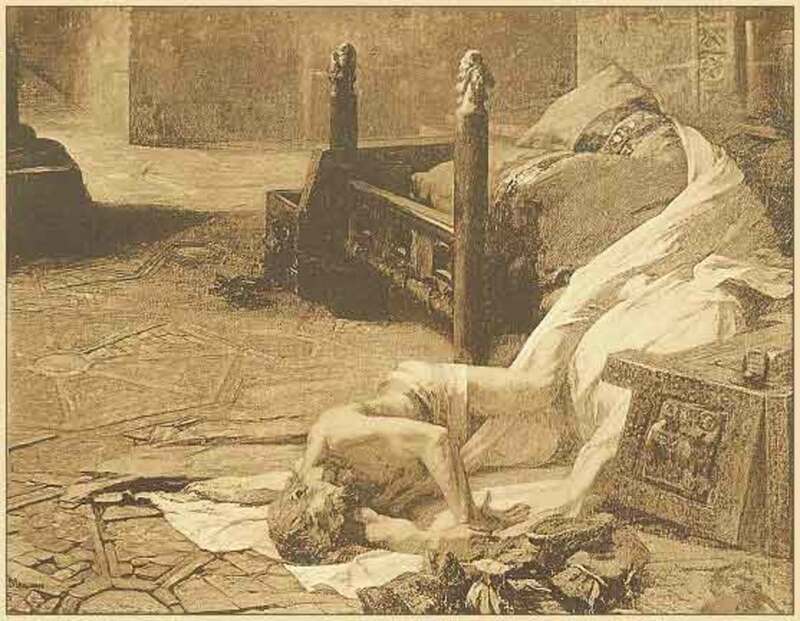 In literature many graphic descriptions of death and its subsequent suffering -- for example, in the works of Chaucer, Langland, Boccaccio and Petrarch. Contemporary graffiti in St Mary's church in the village of Ashwell, Hertfordshire, England describing the effect of the Black Death on the village in 1350. Boccaccio (1313-75) was a great Florentine poet and story-writer who lived during the period of the Black Death. His most famous work, The Decameron, a collection of 100 tales, includes some detailed descriptions of the catastrophe. Discussion of the Black Death by the late Joseph Frank Payne, M.D., F.R.C.P. ; Consulting Physician to St Thomas's Hospital; Member of the General Medical Council. What Caused the Black Death? What Were the Symptoms of the Black Death? The Bubonic Plague - Could It Happen Again? I love this hub! I have always been fascinated by the Black Death and I like how you presented a narrative of events. Well done! @ReviewsfromSandy Yes, sad indeed. The Black Death's victims were just humans whose hopes for a normal life for themselves and for their families were cruelly dashed. Very interesting and sad all the same. @Hendrika Yes, the Black Death was indeed awful and it was just one of a long line of epidemics over the centuries, including influenza (as you mentioned), smallpox, cholera, typhoid and polio. While many of those have finally checked by medical science, new challenges are arising, such as ebola, that demand a serious response from the world community.